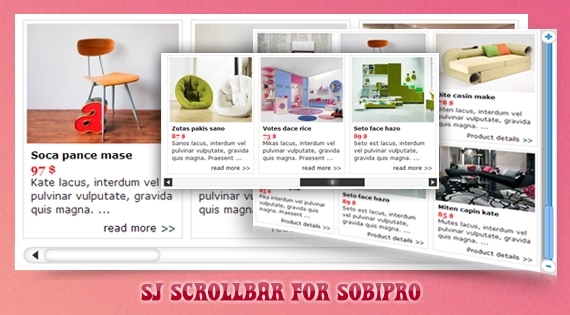 SJ Scrollbar for SobiPro is a sliding-with-drag module for SobiPro component. To easily navigate between entries, we created a scrolling bar with nice buttons, which can be tweaked to be placed on the right of or under the view-port. The bar, the view-port and entries' pane can be configured inside admin panel to suit your current template's style. Let view demo to feel more!